ALE - Agile Lean Europe is a network for collaboration of Agile & Lean thinkers and activists across Europe. Sustained only by volunteers and organized as a non-profit, the community organizes “unconferences” since 2011, every year. “We share because we care” is the motto. Since the first edition, the very well succeed format is a bit different of a regular conference. Open sessions are proposed daily and decided at the daily marketplace, families are welcome and not charged, having a complete parallel program for spouses and kids. Network activities are a core part of the program, such as “Dinner with a stranger”, to enrich the spirit, year after year, of our lemma. All Agile and Lean thinkers, practitioners, curious, beginners and experienced are very welcome. All are treated as friends. All will leave, in the end of the event, with a feeling of belonging to this amazing community. The theme of the 2019 Unconference, which will be held in Porto city, in Portugal, is (Re-)All Agile, which means: Re-Think Agile, Re-Set Agile for All beyond software, Re-New Agile for the fast changes of this century, Re-Write Agile Manifesto for the current reality, Agile for All in or out of software development. Software is not built in the same way as it was in the 90’s. There is no such thing as IT department that implements some applications or website disconnected from the rest of the company. Today, ALL businesses are supported by technology, where software needs to be implemented. Technology is part of ALL businesses. In fact, the future it might be that code is written by machines, which is a reality already for some small percentage. 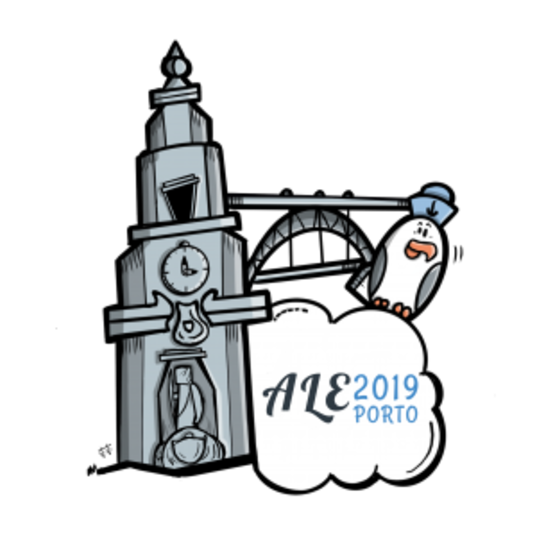 The team that is responsible to organize the ALE 2019 Unconference in Porto is setting the bar extremely high: reunite the Agile Manifesto authors and Agile communities to achieve a ReAll Agile Declaration. Our objective is, by the end of the event, to have an updated Agile Manifesto version written by the same people that wrote the initial one. A version that goes beyond the software development and will bring everyone the inspiration and possibility to create an Agile Mindset that will thrive them to new ways of facing challenges and delivering value to all they do. It is not possible to do this without having the minds that started it all, so please join us!